There was a quick drive through of the autonomous republic. 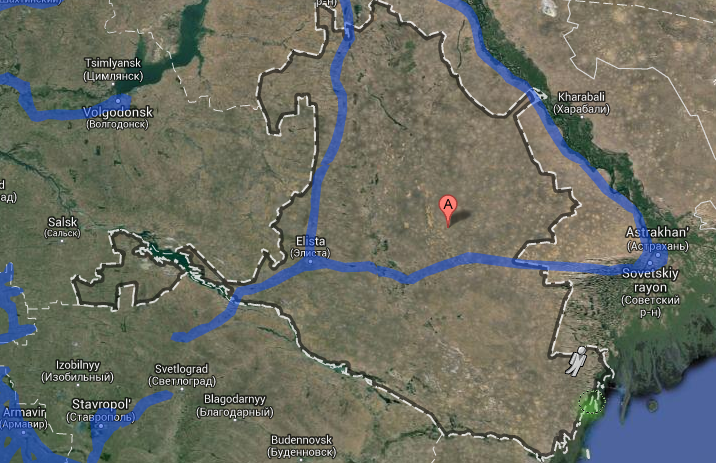 And when zooming in a bit more you can see that the car drove through nearly every major street in Elista. So I've embedded it just below so you can see it too. The city itself will not wow you, but being able to virtually drive around it in the first place might.